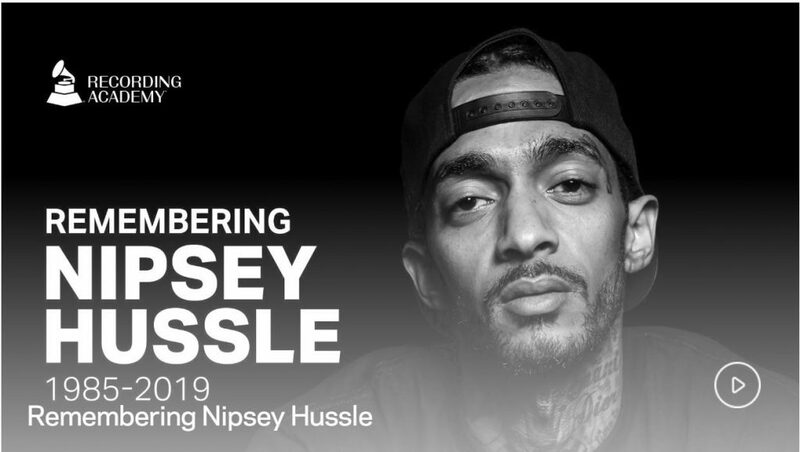 A screen grab of a video on the Grammy website paying tribute to Eritrean-American rapper Nipsey Hussle who was gunned down on March 31, 2019. A memorial service was held in Los Angeles on April 11, 2019. Former president Barack Obama was among those who paid tribute to the late rapper and community activist, Nipsey Hussle, during his memorial service in Los Angeles yesterday. In a letter read on his behalf by the late lyricist’s business partner Karen Civil, Obama praised Hussle for his lasting legacy. Obama said he had never met Hussle but heard his music through his daughters. Hussle was gunned down outside his store, The Marathon Clothing, on March 31. A 29-year-old man, Eric Holder, has been charged and entered a not-guilty plea on charges of murder, attempted murder, and possession of a firearm by a felon. Nipsey Hussle was born Ermias Joseph Asghedom to an American mother, Angelique Smith, and an Eritrean father, Dawit Asghedom. They were both at the funeral where the mother called on Nipsey’s ancestors to “keep him company on his journey.” The vehicle carrying his coffin was draped with the Eritrean flag. “I’ve never met Nipsey, but I’ve heard his music through my daughters. After his passing, I had the chance to learn more about his transformation and his community work. While most folks look at the Crenshaw neighborhood where he grew up and only see gangs, bullets and despair, Nipsey saw potential. He saw hope. He saw a community that, even through its flaws, taught him to always keep going. Others speaking at the memorial service that was attended by over 21,000 people at the Staples Center were Nation of Islam leader Louis Farrakhan, Stevie Wonder and fellow rapper Snoop Dogg. Dogg called Hussle a “kind spirit” and “peace advocate.” “This man got a letter from Barack Obama, man,” Dogg said, as he saluted Hussle’s coffin. Farrakhan on his part called Hussle a “prophetic soul” and praised his valiant efforts to bring together rival gangs, the Crips and the Bloods. Hussle was a former Crips.